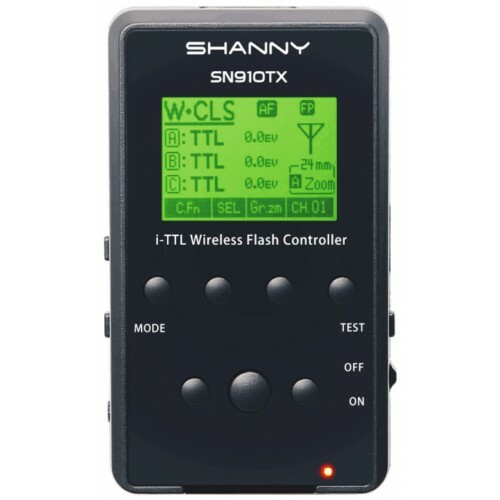 Shanny has unveiled a dedicated 2.4GHz controller for the i-TTL "W-CLS" wireless flash system. 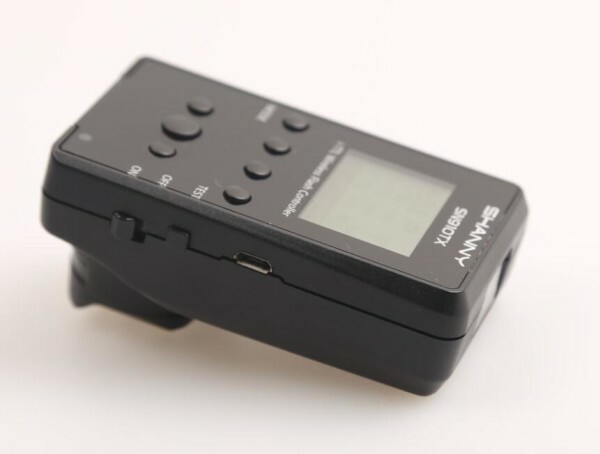 Good news for users of the Shanny SN910EX-RF! As expected, Shanny will be releasing soon their SN910TX, which is a dedicated trigger for the SN910EX-RF wireless 2.4 GHz flashes. As could be read in the conclusion of our SN910EX-RF review, the W-CLS platform (so-called by Shanny) works well but was lacking a dedicated trigger. 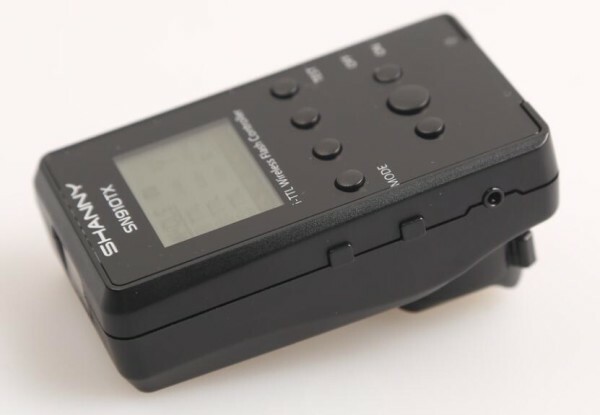 The lack of dedicated trigger meant you had to use an expensive SN910EX-RF flashgun for triggering, until now with the introduction of the SN910TX. Shanny has chosen to use a different form factor than they have used for their SN-E3-RT; the SN910TX is much smaller and does not feature such a big screen. In general the device looks a little bit less futuristic, still all the required information is contained on the screen. Similar as using a SN910EX-RF as master, it is able to trigger SN910EX-RF flashes in three different groups. 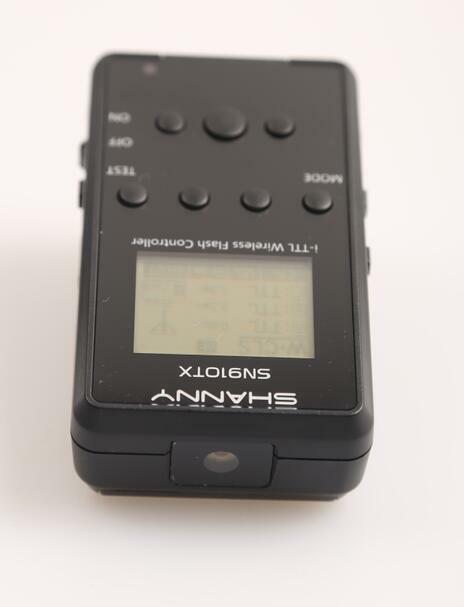 It also includes HSS modes, remote zoom control and an autofocus assist, as was the case with the SN910EX-RF flashes. No information has been obtained regarding availability and price, but it can be expected that the triggers will start to appear on eBay very soon, with an expected price around 65 euros.